Home > Galleries > Welcome New Staff Members! 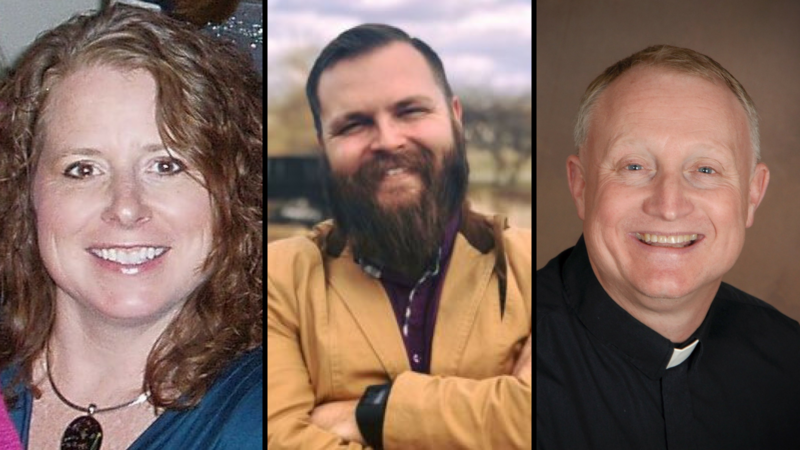 The North American Lutheran Church has added three new people to its staff to better serve its congregations. Joan Corniea has begun serving as Financial Assistant in the Financial Administration Office in Minnesota. With a solid background in accounting, Joan will assist Anne Gleason with NALC accounting and membership records. Joan loves living in the Twin Cities and everything it offers. She enjoys the local sports teams and rarely misses watching the Vikings. A fan of all seasons, she relishes the short summer months after the long winters. She attends Grace Fellowship in Brooklyn Park, Minn.
Joan fills the position vacated by Kathy Jacobson’s retirement. Kathy had served in this position since the start of the NALC. Andrew Fuller has been named the NALC’s Director of Communications. Andrew will be serving the NALC three-quarter time while attending seminary at Trinity School for Ministry in Ambridge, Pa., studying to be a priest in the Anglican Church in North America. As Director of Communications, Andrew will work with other NALC leaders to develop and implement communications and marketing strategies to support overall NALC goals and messages. Andrew has recently served as the Director of Communications at Upper Arlington Lutheran Church, an NALC congregation in Columbus, Ohio. He previously served as Digital Communications Coordinator for Wheaton College in Wheaton, Ill., and as Director of Communications and Technology at First Baptist Church of Wheaton, Ill.
Pastor Brad Hales has been named the Director of Domestic Mission for the NALC. He began this new position on May 1. Pastor Hales will be serving the NALC part time while continuing to serve as pastor of Reformation Lutheran Church in Culpeper, Va. Working together with Pastor Gemechis Buba, Assistant to the Bishop for Missions, the Director of Domestic Mission will work with NALC mission teams to develop a vision and strategy for mission work in North America. The primary emphasis areas of this position are renewal and new starts, fully integrated with the discipleship initiative focus in the NALC. Pastor Brad Hales has served as the chair of the Renewal Team, New Starts Team, and as Dean of the Virginia Mission District of the NALC. Through the power of Jesus, Pastor Hales has helped to renew several older congregations in discipleship, outreach and mission. In 2009, his present congregation was given the Best Practices Award in Senior Adult Ministry by the National Council on Aging. Pastor Hales has authored multiple Bible studies and resources, including, A Covenant of Aging, published by Sola Publishing. The NALC has a lean structure with the local church at its heart. The NALC’s focus is on assisting the ministry of congregations, not on congregations assisting the ministry of the church body.